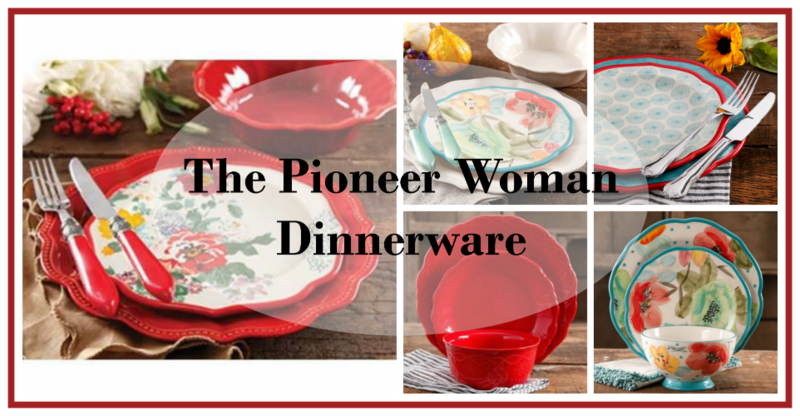 I am a true fan of The Pioneer Woman Cookware. I love her show, and I feel that I could sit and listen to her all day long. Of course, if I ate what she cooks with this beautiful cookware, I would weigh 500 pounds. 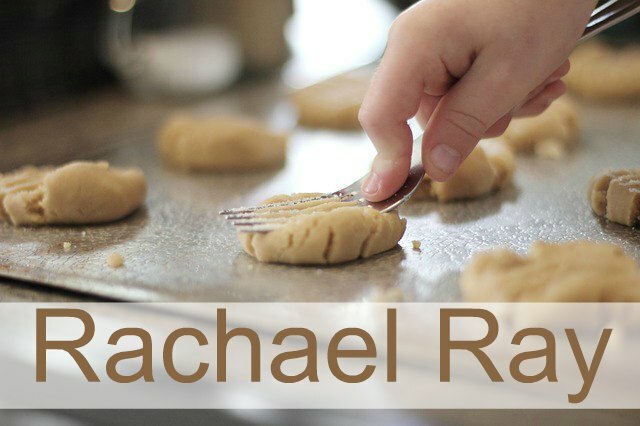 Ree Drummond, from the Food Network The Pioneer Woman Show, creates the best dishes with the best ingredients. Kind of what my grandmother made. She uses real butter and thick, rich cream. You can almost always find some great cheese or other ingredient that makes your mouth water as you watch her create these dishes. There is nothing fancy here, nothing that you need a dictionary to understand what she is talking about. 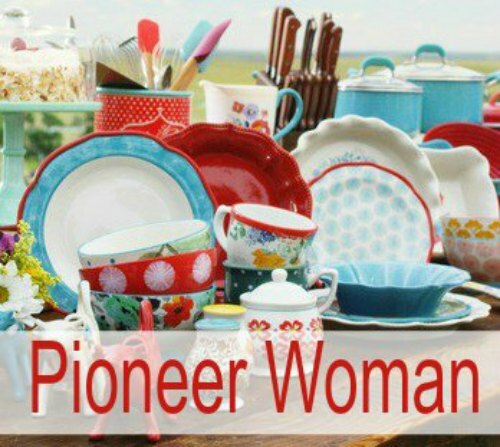 Ree Drummond creates these perfectly wonderful dishes using her signature The Pioneer Woman Cookware. That means that now we can make these great recipes as well. If you haven’t watched her before, you need to do it right away. Most of the items you probably already have in your pantry or freezer. 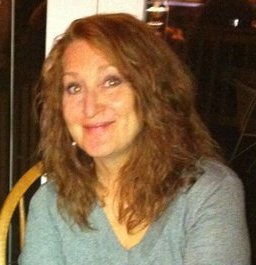 She also has a great blog that you can read to give you more insight into what this lady is all about. 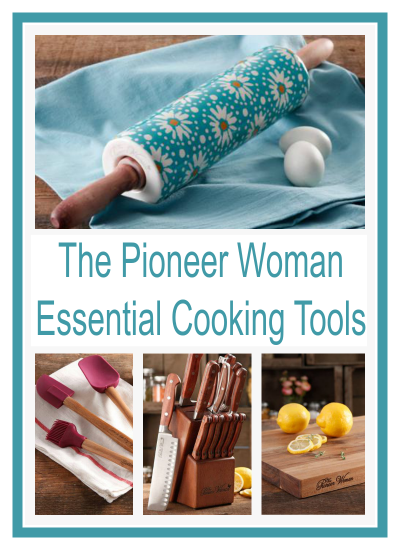 Here is a link to her blog, The Pioneer Woman. Get ready for a fun time with Ree Drummond. 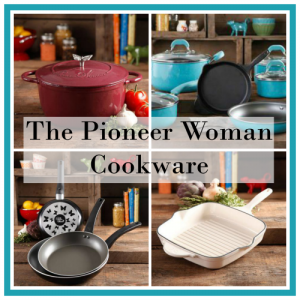 This beautiful Pioneer Woman Cookware set is perfect for the beginner cook or a seasoned one. 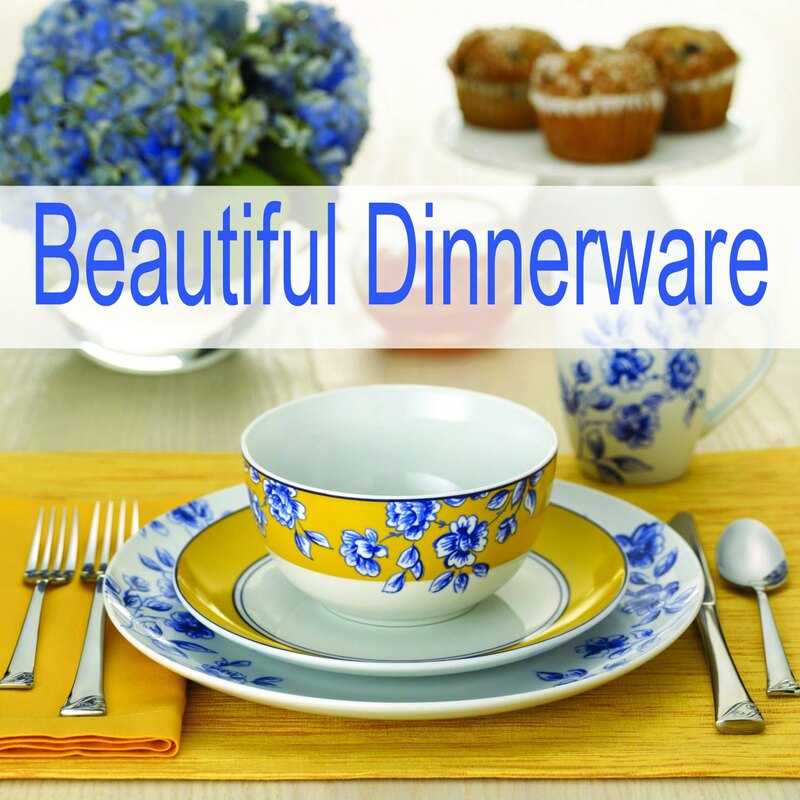 It gives you everything you need to make your favorite dishes for your family and friends. It includes an 8″ cast iron frying pan, 9.5″ frying pan, 1.1-quart saucepan and a 2.5-quart saucepan. It also features a 5.5-quart Dutch oven and a 4.2-quart jumbo cooker. The see thru lids are perfect for keeping an eye on what is cooking. They are light enough that even those with wrist problems or someone weak can handle these. Food will slide off easily with the non-stick pans and easy to clean up. They are dishwasher safe and the cookware can go in the oven. 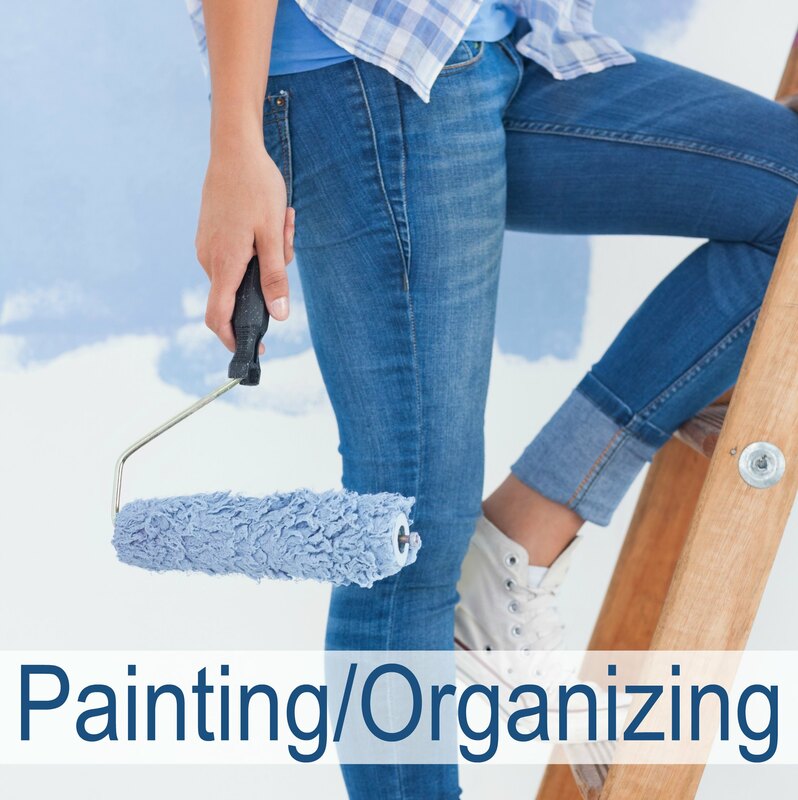 They are available in these colors – red, linen, black and turquoise. Ree Drummond was really thinking of us when she designed this great cookware set. If you just need some great non stick pans, this set of 3 from the Pioneer Woman will be a great addition to your home. I use these for melting butter, to saute onions or garlic, and my grilled cheese sandwiches fit perfectly in the largest one. 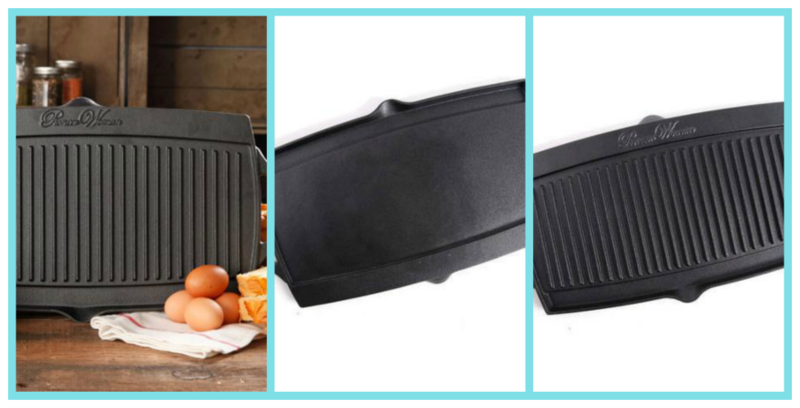 This skillet set includes an 8″ skillet, a 10″ skillet and a 12″ skillet. They are made of heavy-duty aluminum and are available in shades of red, black, turquoise and plum. 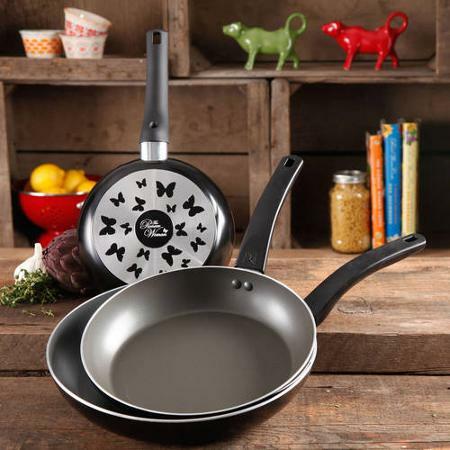 They are dishwasher safe and come with heat-resistant bakelite handles and a charming butterfly-shaped decal on the bottom to help level out the heat. I love my griddle. The first thing that comes to mind when I think of a griddle is pancakes. My kids love my pancakes. I also use mine to saute onions, peppers and tomatoes when I am making Fajitas. I use the ridged side for this. I use this griddle for so many things that I can’t really think to tell you. Try it out for some of your dishes that need things grilled, you will love it too. It can go on top of the stove or in the oven. I have even used mine on the BBQ. Works great and is quick to clean up. My husband loves soup, so I make soup…a lot. I usually do it in large batches and either freeze some or we just eat soup all week. I always start with a stock pot. I have learned from experience that I add more ingredients than I think I am going to add and then end up having to change to a larger pot at least once. So these big stock pots are my favorite soup pots. Even if I don’t fill them up, I am saving myself time and from having to do all the extra pot clean up. 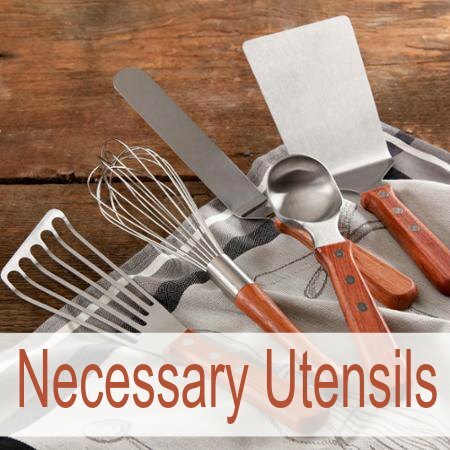 These are also good for large gathering size dishes as well. These hold 12 quarts, which is a lot of soup or food. You can use this on the stove top or in the oven. The handles are hollow, which makes the pot lighter for easy carrying. Here are two of Ree Drummonds stockpots in great colors. I love the ruffle top cookware! This is such a pretty site with soothing colors. Really enjoyed my visit. Oh wow! I love it all, but especially the pretty cookware. Good for giftgiving too! 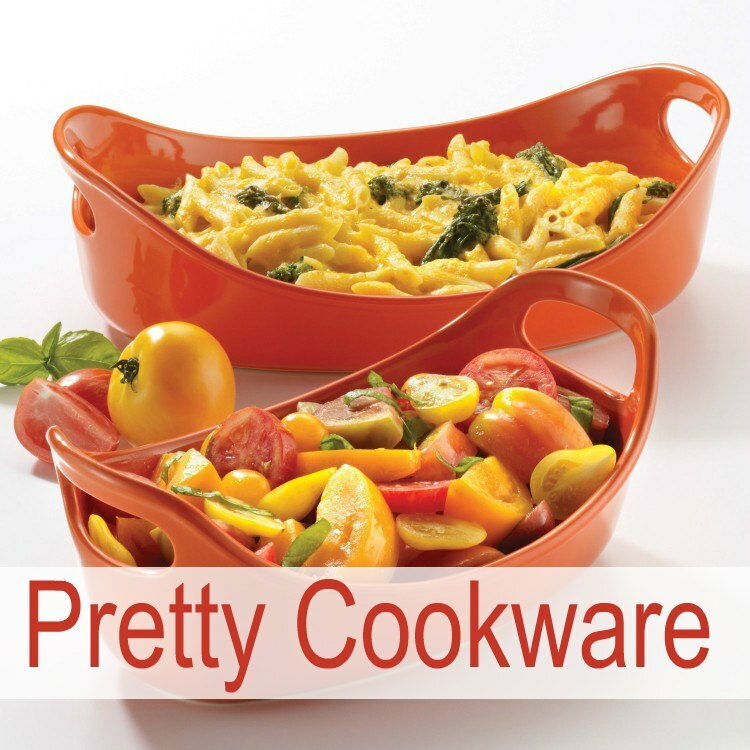 Wonderful collection of cool cookware!